Is the weight of the two different BCGs exactly the same? I only ask because I've read about how changing to different weights of buffer changes how it cycles so it's only reasonable to assume that if there is a weight difference in the BCGs it could cycle differently. I'm sure you'll work it out. It certainly is a great looking gun though! So I went and added a super-slim keymod handguard to my AR. The thing about the super-slim keymod, it's really quite slim! Not sure I like it. I'm looking into some keymod fillers to smooth it out and bulk it up a tiny bit. I guess I'll give it some time, maybe it'll grow on me. Key mod has been all the rage for a while now. Have you tried any attachments on it yet? Not yet. I had offset iron sights but I'm looking to switch to an offset reflex sight. 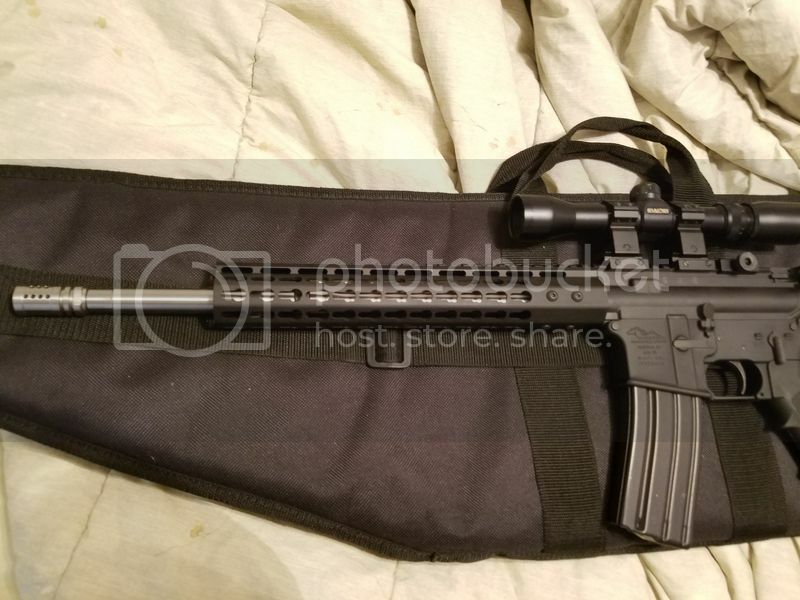 The only thing I'll likely add other than fillers/grips is a sling attachment.